Like driving and want to take it up as a profession? Then you just need to become a professional driver. There are a number of companies which need drivers to transport goods from one place to another. But then the vehicles used for such purposes fall in heavy goods vehicle category. This is why they prefer people who have proper knowledge related to them. But before anything else, the companies consider the licenses. There are special driver’s licenses that a person should have in order to join any company. These licenses are mandatory and the government has strict rules. In case someone is found driving any commercial vehicle like C+E truck & trailer without proper documents and licenses, he is subjected to strict punishments. Thus, before you actually think of this profession, you must know everything about the legal formalities involved. Why HGV Training is so important? Heavy vehicles are one of the most complicated categories when it comes to driving. There are different types of trailers and trucks. Also, there has been advancement in technology which has led to the introduction of new vehicles with better features. But then these are all machines which need to be controlled by an expert. The driver therefore is ultimately responsible for any kind of accident. This is why in order to make roads safe for everyone, the government wants to ensure that people who drive these heavy vehicles actually know the right way of driving and controlling them. To get the required licenses, you need to pass certain tests. You might think that these tests would be similar to those that you appeared for getting driving license so that you could drive your car. But you are wrong, it is completely different and in fact more complicated. This is why it becomes necessary to join a training program where you can learn the concepts. The Dhoot Driving School programs in Pinner, London offers all necessary training for professional drivers. Why Should You Join Dhoot Driving School? You might find a number of training providers in Pinner, London, but Dhoot Driving School is better because of its team of trainers, intensive study material and proper practical training sessions. 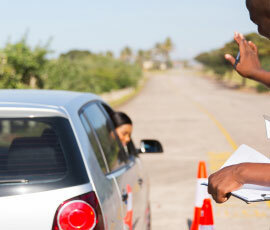 If you join a training program, you are assured of assistance until you become a perfect professional driver. When you decide to become an HGV driver, you must first gather all possible information about training programs so that you can choose the best one. Like every other training program, there is a minimum eligibility criteria that you need to fulfill. The first thing that you must know about becoming a professional driver is that you must be at least 18 years of age. You can apply for the training program and learn all the basics. 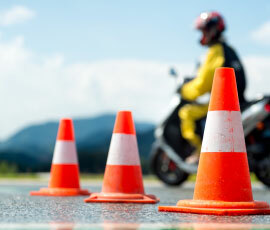 The Course: The Dhoot Driving School programs in Pinner, London are divided into two parts: theory and practical. There are different kinds of training programs according to the vehicle category and the level of expertise. For example, C1-license is the first step for beginners. Initially there will be sessions where the trainers will discuss all the important concepts. You will get modules with all important details. The modules are designed such that beginners do not face any problem in understanding the difficult concepts. The best part of joining the Dhoot programs is that the modules are available in various languages. This will help you understand the concepts in better way in the language you are comfortable with. Once the trainers are convinced that you have proper knowledge, they will start with the practical sessions where you will drive vehicles. There are vehicles of different kinds with proper control systems. There will be several sessions so that you become confident enough and can control the vehicle properly. One thing that you must know if you wish to become a professional driver is the importance of passing the CPC test. This test has been introduced to check skills, awareness and activeness. There are specific CPC driver training modules. You can apply for this test only if you have the HGV or PCV license. Thus, it is a special license that professional drivers must have. You must therefore be prepared for rigorous training if you plan to join any of the training programs. The trainers at Dhoot Driving School Pinner, London believe that in order to become a professional driver, one needs to be mentally and physically fit and active. There is wide prospective as a professional driver since companies rely on their employees for on-time delivery without any damage to the goods. They want the drivers to be trained and authorized in order to avoid any legal issues in the future. They are ready to pay good salaries to drivers who are responsible enough thus; you can earn while you live your passion and conquer the roads! Just contact the trainers and start with the new journey.